It’s Jen and Jodie here once again! 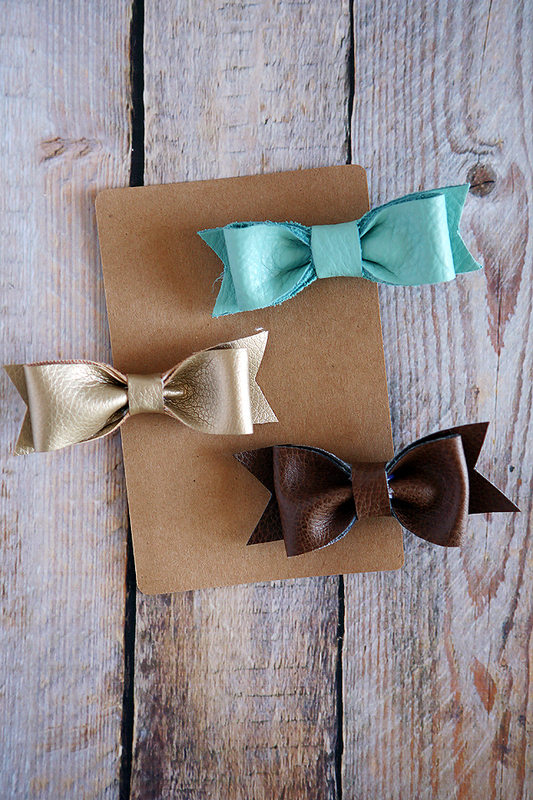 Not sure about you but it seems like every Spring, we get an itch to make cute hair bows. Last year it was felt that had us swooning. This year, it’s all about the (faux) leather. 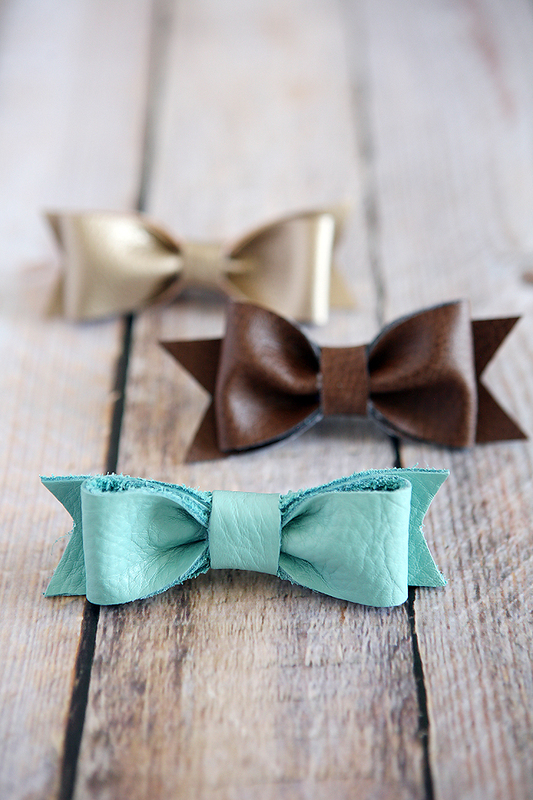 So, let’s make some leather hair bows. Shall we? 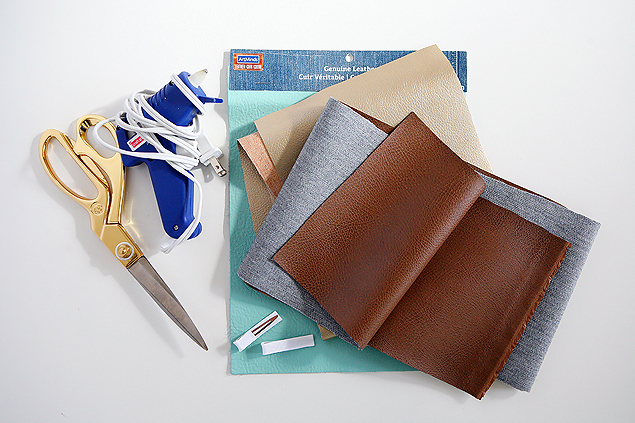 Step #1– Cut out your 3 leather pieces. Your first piece will be 7″ x 1 1/4″, your second piece will be 4″ x 1 1/4″ and your third piece will be 1/2″ x 2 1/2″. (You can play with these sizes depending on how big or small you would like your bow. 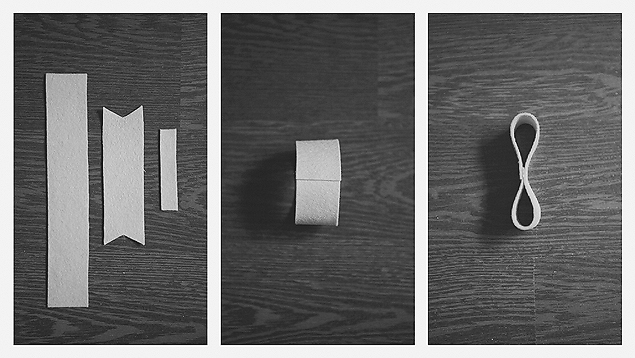 Step #2– Glue the ends of the largest leather piece together. Step #3– Glue the two centers together. Step #4– Pinch the center together and glue. 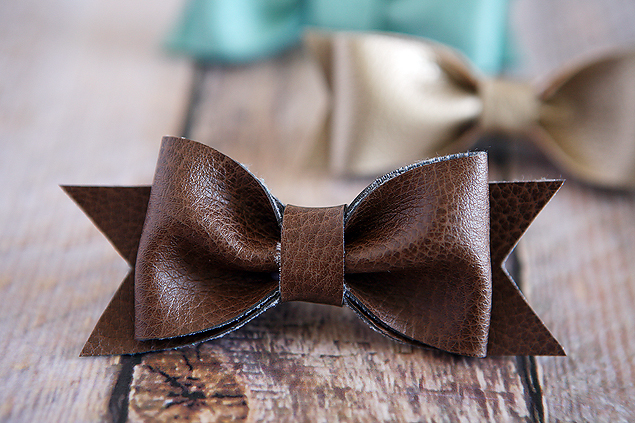 Step #6– Take the smallest leather piece and wrap around the center of the bow and glue on the back. 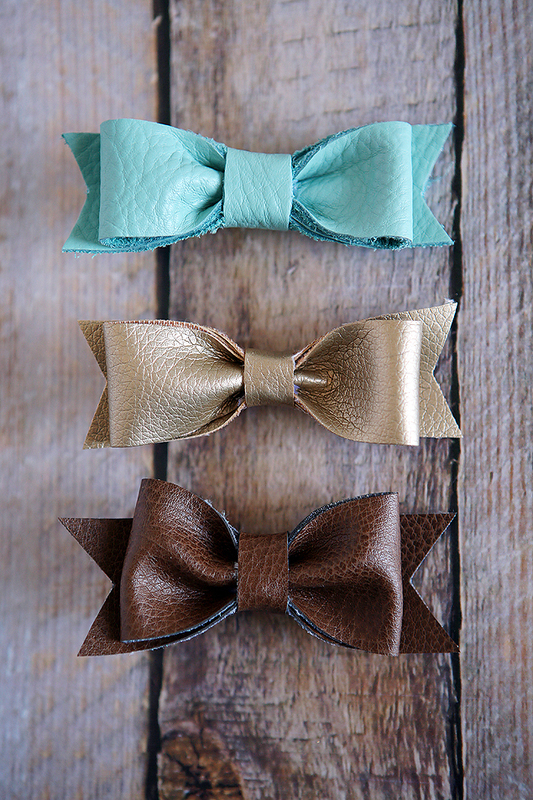 Step #7– Decide what you want to attach the bow to. I love to use an alligator clip (pictured above) because even if you decide you want to wear a headband, you can clip the bow onto the headband. If you decide to go that route, you can cover your clip with some ribbon and hot glue. 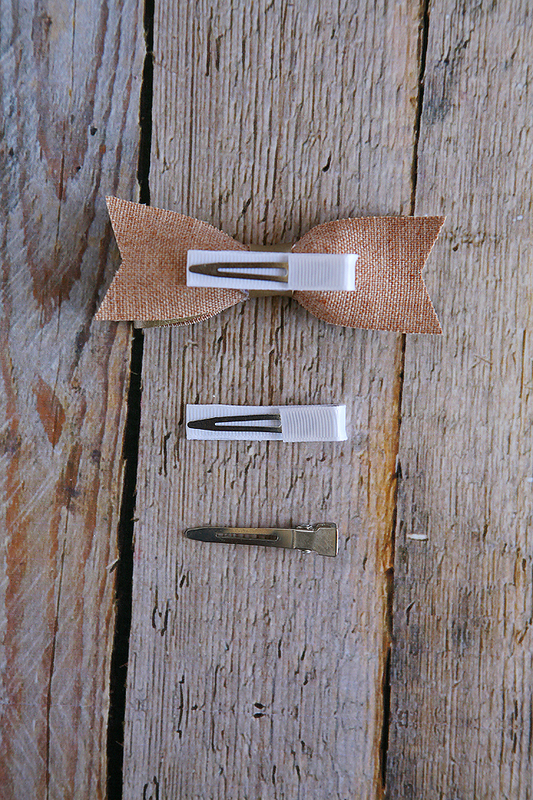 Then, hot glue the bow to the clip. And there you have it! Once you get the hang of it, you can go bow-making-crazy! I can’t decide which one I love the most! So, what do you say?! 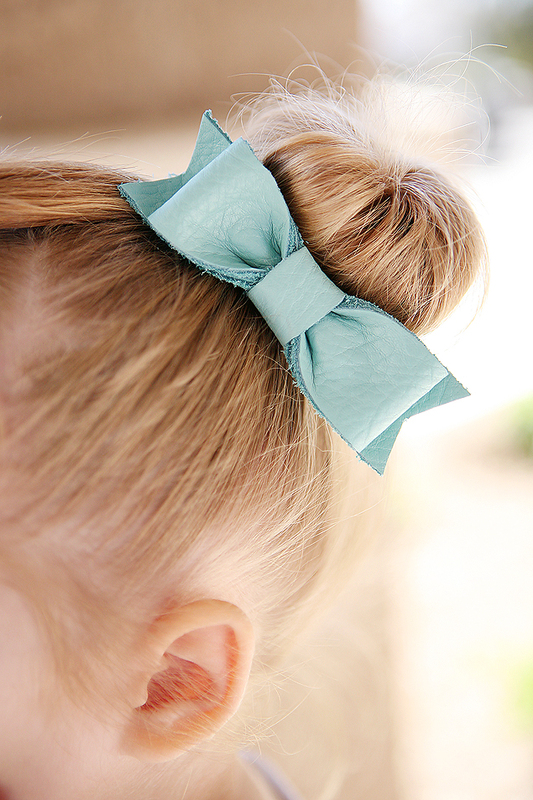 Want to make some cute hair bows? For more DIY & Craft ideas come and visit us at Eighteen25.